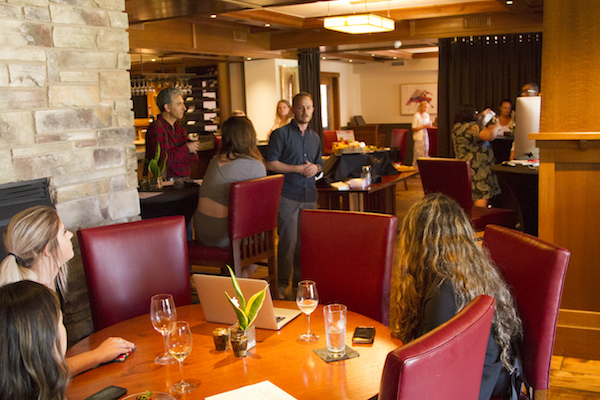 On Friday, the Office of Digital Learning hosted the 2018 OU Creaties at the University Club in OU’s Memorial Union. 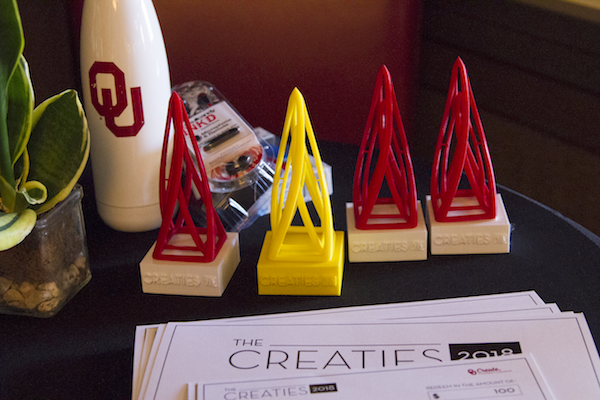 This annual event honors the students, staff, and faculty who have built the most exciting websites and written the best blog posts within OU Create. For individual blog posts, we focused on the content with an eye on the modality of presentation and how interesting the post was. In addition to the category winners, there were also two overall winners: Best Student Website and Best Faculty/Staff Website. 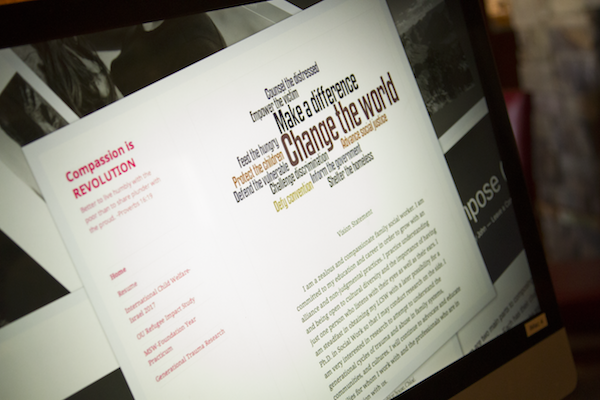 In evaluating the nominations we looked at how well the websites were built in terms of the visual design, technical functionality, and uniqueness. 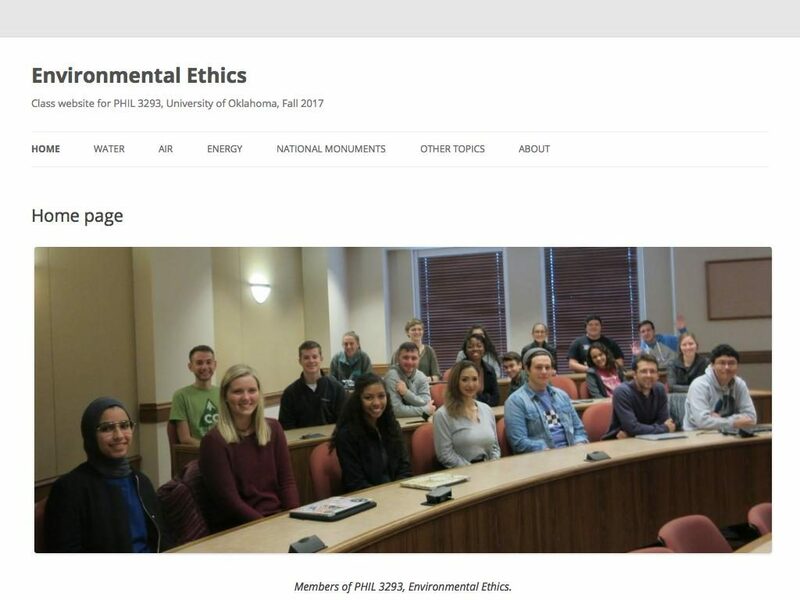 The Creatie for Best Course Website went to Prof. Zev Trachtenberg’s Environmental Ethics course. 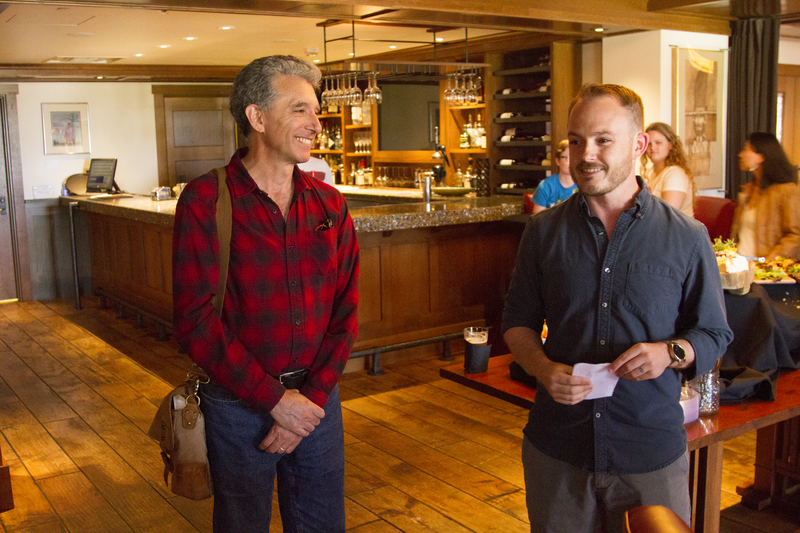 Zev laid out the course site well using WordPress, but the real reason that the site won was the excellent job his students did in writing on issues related to water, air, energy, national monuments, and other environmental topics. 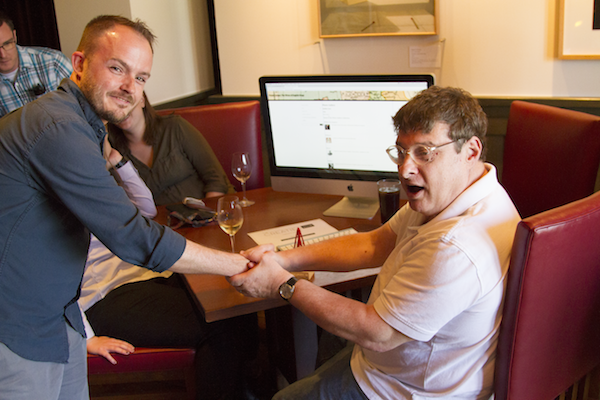 The award for the best blog post went to Emily Mee. 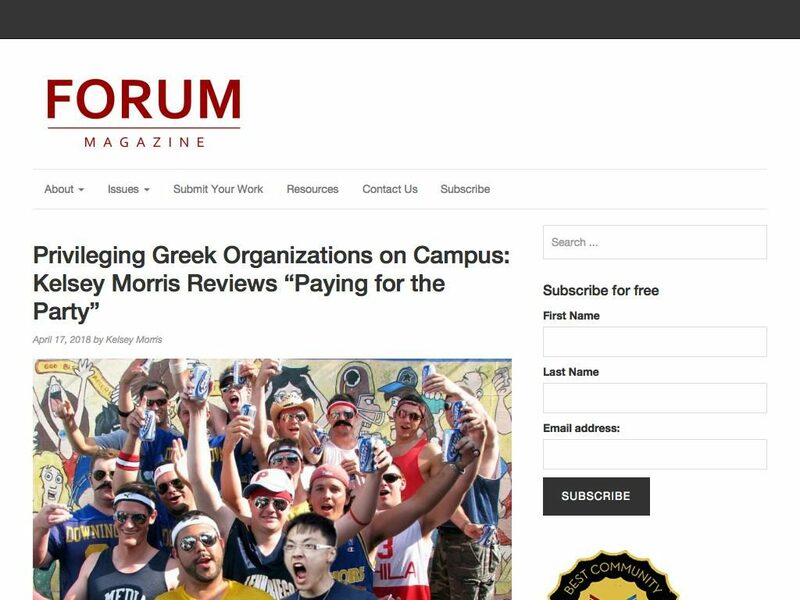 Emily is the editor of the Forum Magazine, a student-run newsmagazine built on OU Create. 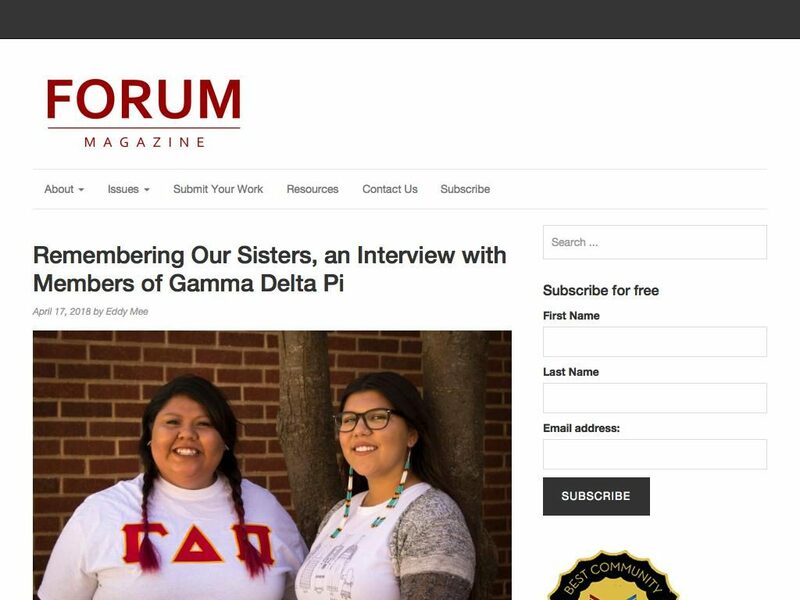 In April, Emily posted “Remembering Our Sisters, an Interview with Members of Gamma Delta Pi.” This interview with two members of the American Indian sorority Gamma Delta Pi demonstrates how students can lead important conversations through the production and sharing of multimedia. 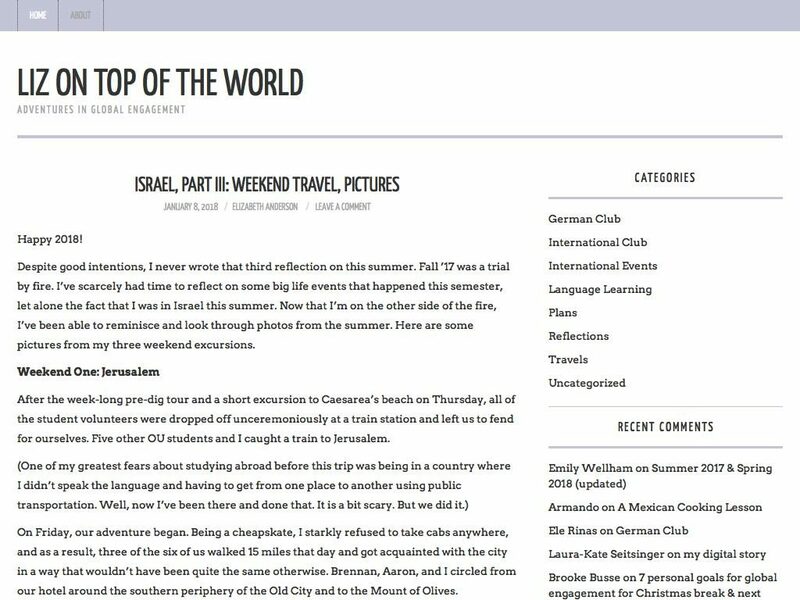 Elizabeth Anderson won the Creatie for best Blog Post Related to Studying Abroad for her three part post on her trip to Israel. Liz did a beautiful job of describing her trip and showing us through the dozens of pictures that she shared. One of the biggest user groups of OU Create are students studying abroad, and we love when they share their trips with all of us back here in Norman. 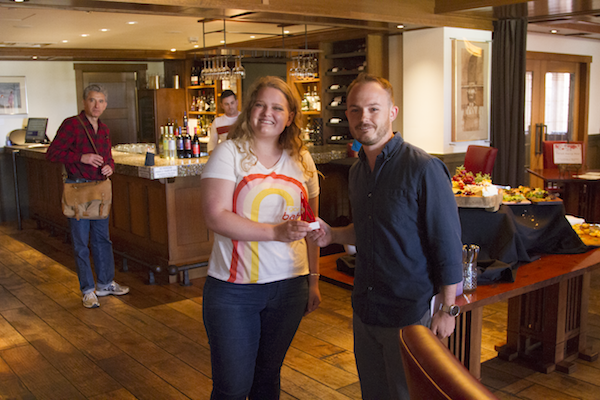 Kelsey Morris won the Creatie for best media review for her reflections on “Dr. Elizabeth A. Armstrong and Dr. Laura T. Hamilton’s groundbreaking sociological research in their 2013 book Paying for the Party.” In her post, which was published by the Forum Magazine, Kelsey reflects on how the lack of governmental funding for education has created incentives for schools to commodify the student experience. She applies the books message to her experience of OU and reaches some stark conclusions about how women in particular are affected. The Capra/Bailey Project is dedicated to understanding Frank Capra’s It’s a Wonderful Life as an important piece of American political culture. The political life of a people is made up not only of the debates over the specific policy programs of competing political parties; it is also held together by broadly shared narratives of how the world should work. It’s a Wonderful Life is one such narrative that cable television brought back into American life more than thirty years ago. This website is one effort to better understand that story’s relationship to the lives Americans lived in the past, and to the lives they live today. 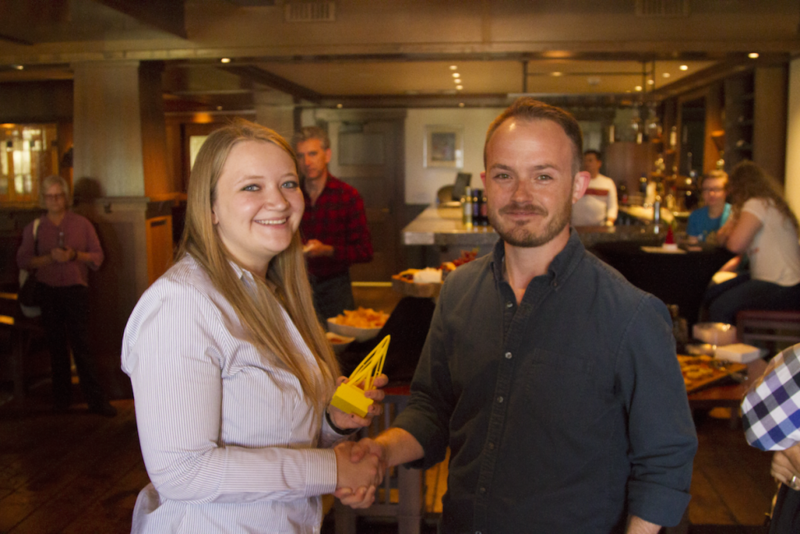 The grand prize winner for Best Student Website was Wendy Jordan for her work on Project Jordan: The Wives of English Kings. As part of an internship from the History Department to the OU Library’s Digital Scholarship Lab, Wendy built a wonderful Omeka based site that includes family trees, biographies, and a map that depicts where the various wives of English Kings came from. 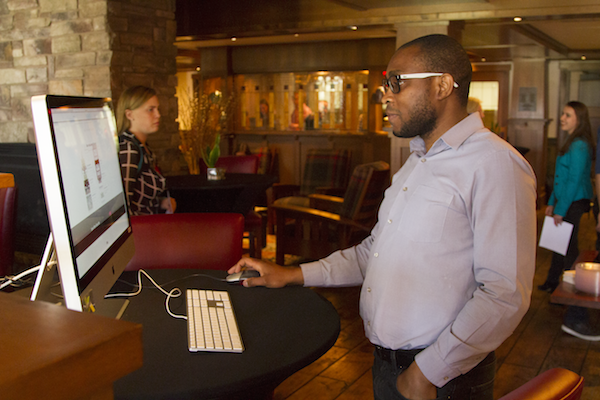 The amount of information and the technical ingenuity on display in the site realizes the hope that OU Create can support Digital Humanities projects made by students.